I hope you have been following the incredible blog hop the last two weeks. Not only are there a lot of totally amazing rows with seasonal themes, there are some really crazy good prizes (sweepstakes, give-aways, gifties – there has been some discussion about the proper word for this). For information on how to enter the contests and to see all the rows click HERE. Here is the schedule for new rows this week. Well anyway, my row is summer and I designed a fun camping row with campers, a tent and cute critters atop the signs pointing their way to camp. 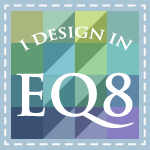 You can download the PDF pattern HERE or the EQ7 file HERE. This is block 1 in the row. There are 5 blocks which finished at 8” x 12”. They are all applique blocks done with large easy pieces (mostly) which are done with fusible web and machine applique. I have reversed all the templates for you already so when you download the PDF you will be ready to trace or print the templates onto the fusible web. Super thanks goes to Northcott fabric for supplying some of the fabric used in this block and for supplying one of the HUGE prizes we will be giving away. So what prizes am I offering? I have a boatload. . . .or maybe I should say a trailer full of stuff to give away. First you have to enter the totally amazing Aurifil Thread give away. This stuff is made in Italy and it is amazing stuff. No lint, very strong, and fabulous colors. Here is the set you will win if your name is chosen. We are using Rafflecopter for the give-aways so be sure you enter in the box below. But I also have a totally cute Andover Fat Quarter Pack to give away, an Aurifil sampler pack of thread, and an Andover batik strip pack. Yea, this is good stuff!!! Oh, and I will be tossing in a few free patterns just to keep things fun. Northcott Fabrics, 1 entry per entrant per week, all featured blogs today have same giveaway. 6-8 yards of fabric in 1 yard lengths $60-80.00 Value based on $10.00 per yard cost of fabric. 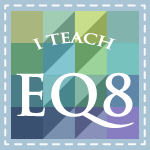 Fat Quarter Shop: Every blog has a different opportunity to win. Each entrant may enter at each blog's featured day. 1 $25.00 gift certificate. Craftsy and Nancy’s Notions Giveaways, You must stitch out one unique block from any of the rows offered today or any featured day of this Row-Along. Filler Rows are excluded. 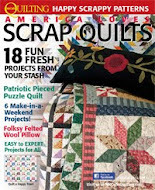 Filler Row Designers are Be A Quilter, Stof Goeneg, and Linda Franz. You may enter this giveaway every day from September 01, 2015 to October 13, 2015. You must upload a picture of your block to the Flickr Group prior to entering. Then go back to the blog of your choice and enter the Giveaway for the Craftsy or Nancy’s Notions Giveaways. All entries will be double checked. The Flickr group is here. Nancy’s Notions: 1 $10.00 of gift certificate – 2 total certificates Total Value $20.00 each. By entering any of these giveaways, it is assumed that you agree with the following rules and guidelines. All gifts will be given between September 01, 2015 and October 13, 2015. Winners will receive notification via email. Winners have approximately 7 days to claim their gift, if 7 days passes, the gift will be offered to another eligible entrant. Winners who will receive a shipped item, will need to provide, name, address, city, state/province and country along with a phone number. All international winners will be responsible for any fees customs chooses to assess. Winners where prizes can be delivered via email, must provide a name, country and a valid email address. All prizes will be awarded. All winners will be announced on the blogs where they won and here at Seams To Be Sew. Winners agree to allow their name, city, state and/or country to be publicized. Participating bloggers may enter any of the giveaways as long as they don’t participate on their own blogs giveaway. All giveaways will be given away within 24-48 hours of the expiration of the giveaway. You have 7 days to reply to the email sent to you. If you don’t answer, we will give your gift to another entrant.